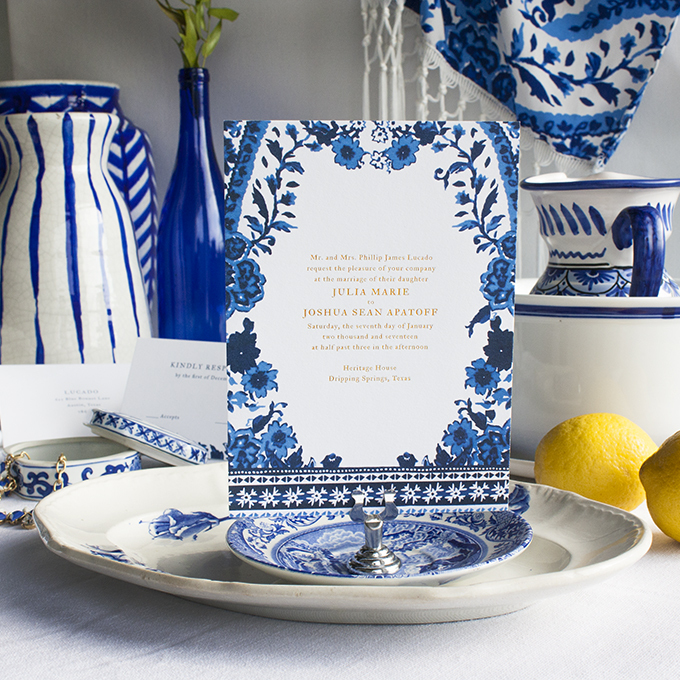 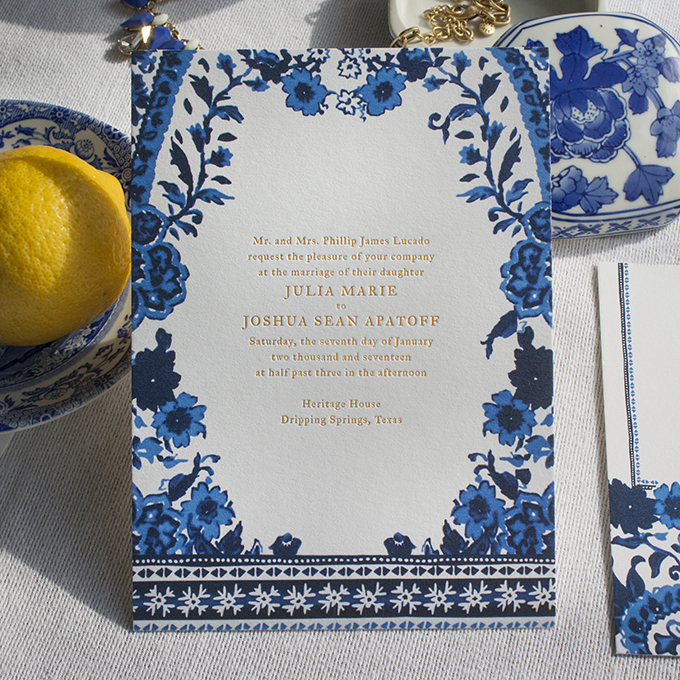 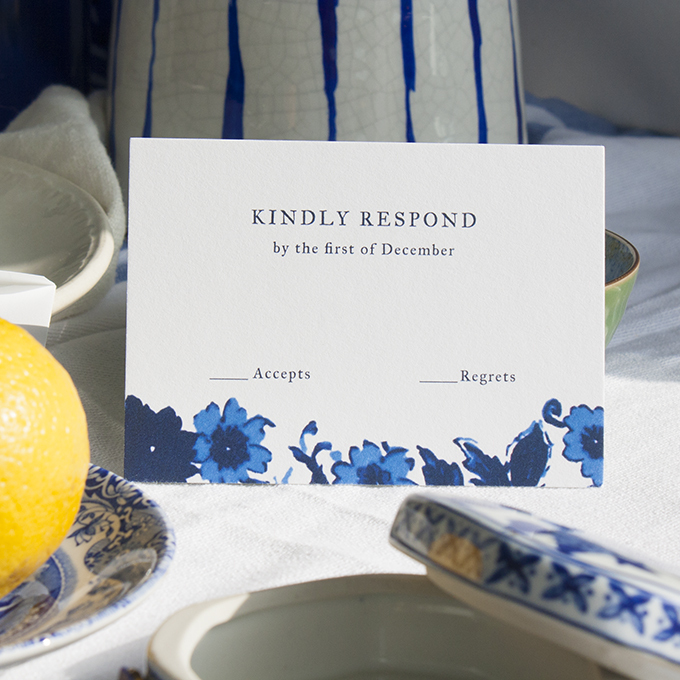 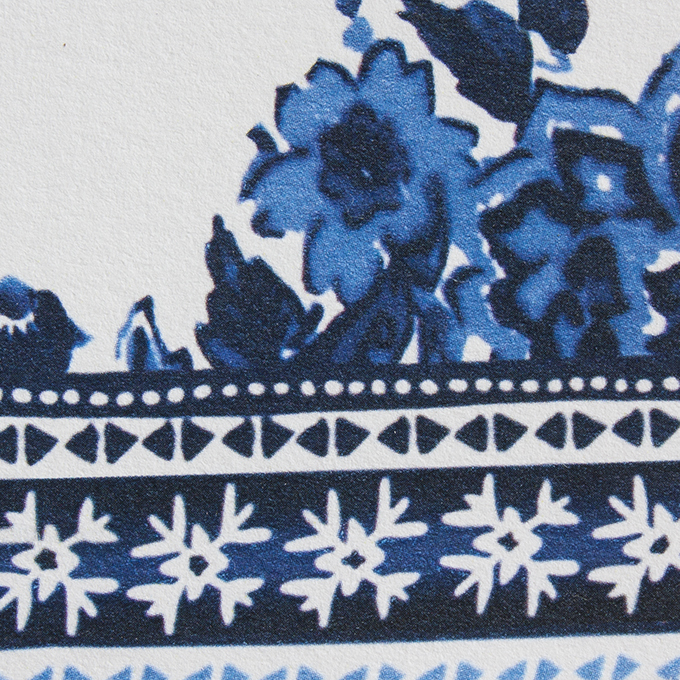 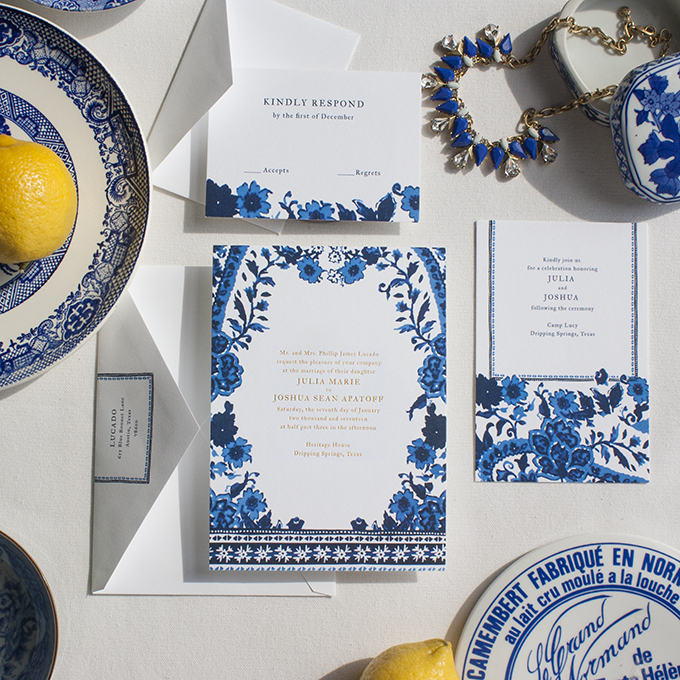 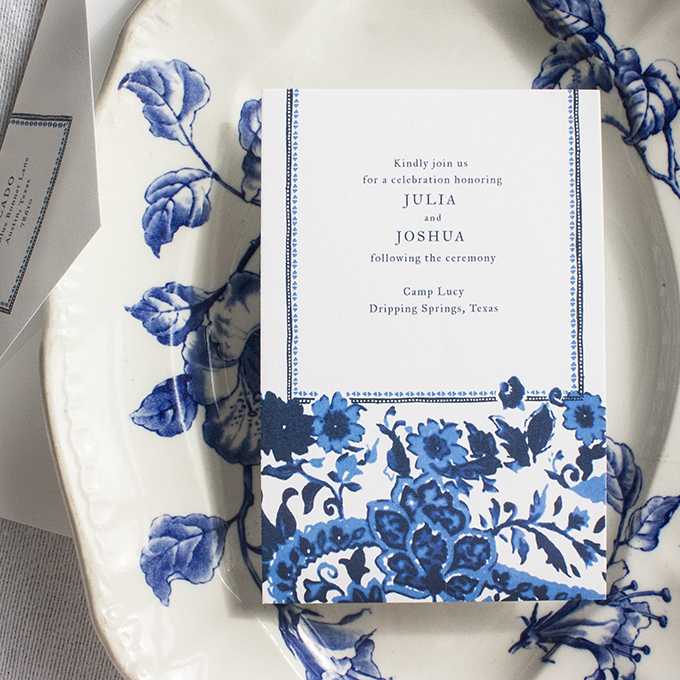 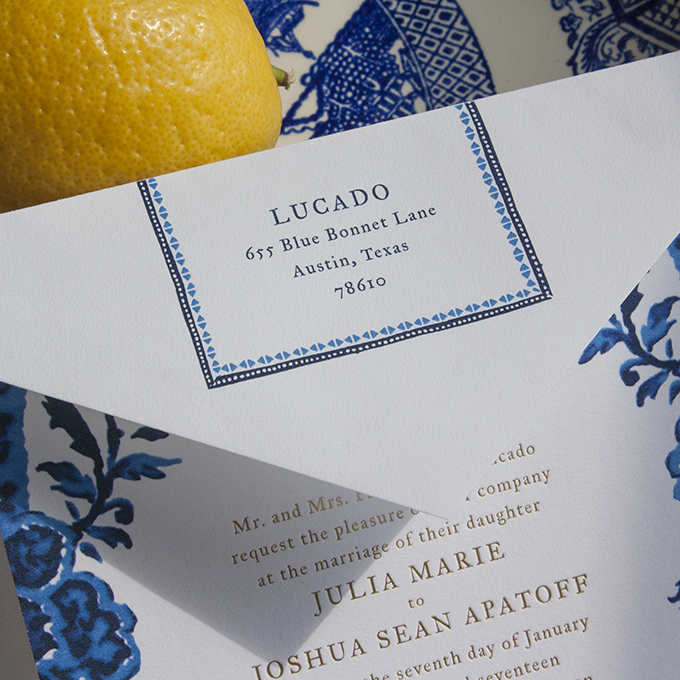 This watercolor and foil wedding invitation suite is inspired by a mix of cultures in our favorite classic, bold color palette: the cobalt blue and crisp white Asian patterns of our mothers’ Blue Willow porcelain china, the vibrant shades of Mykonos, and classic floral Delftware with a simple foil stamped or ink text design that dances with the complexity of patterns. 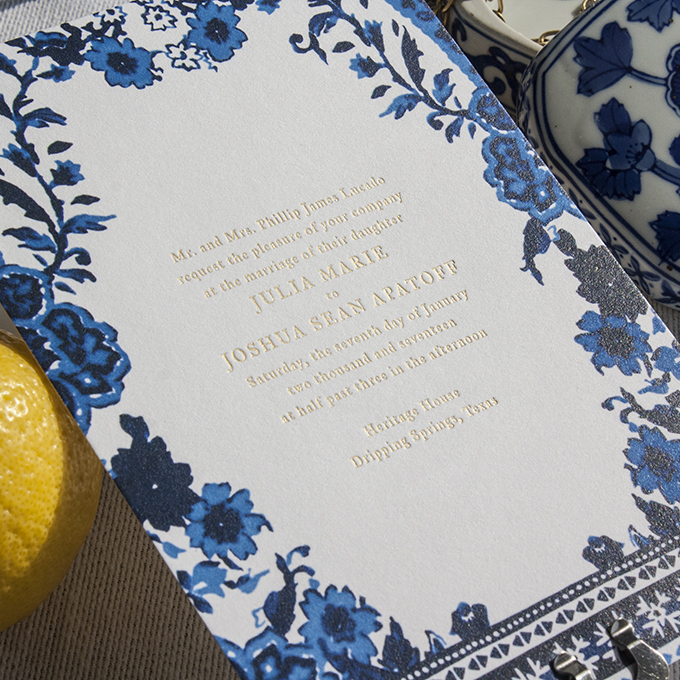 This is ‘something blue’ for the stylish couple who dream of traveling the world together. 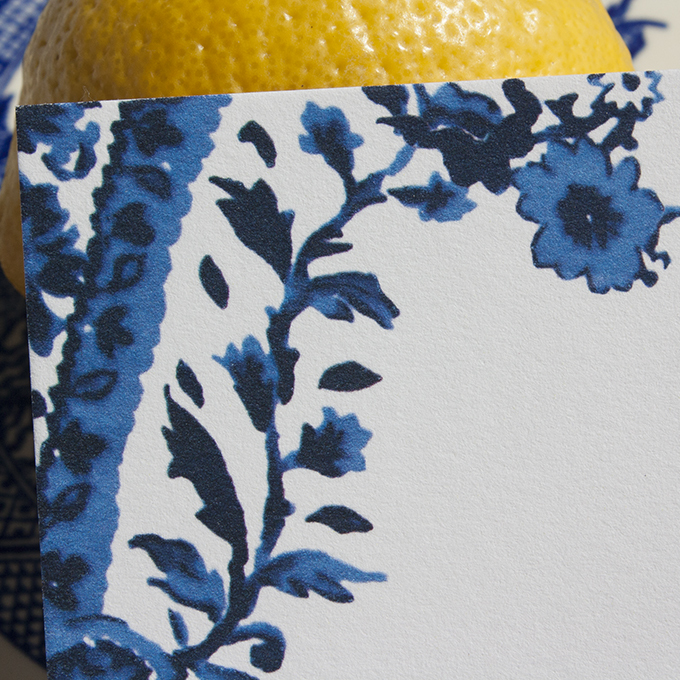 Click here to view our Pinterest board inspired by Blue!